Smart Net Bird Netting is an overhead system that protects small fruit and vineyards from birds and other aerial predators. Smart Net Bird Netting is an overhead system that protects small fruit and vineyards from birds and other aerial predators. 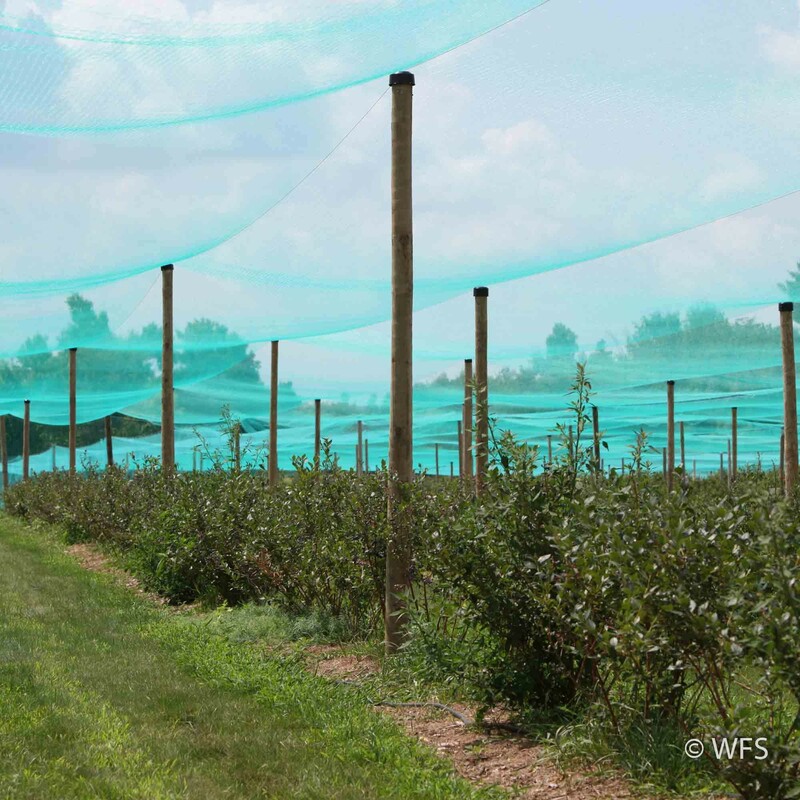 This netting is deployed across an overhead network of high-tensile wires supported by wood posts to provide maximum protection for mature fruit that is most susceptible to attack. At the end of the season, the netting is retracted and wrapped for winter storage. Give us a call, we can design and quote an overhead system to protect the fruits of your labor!